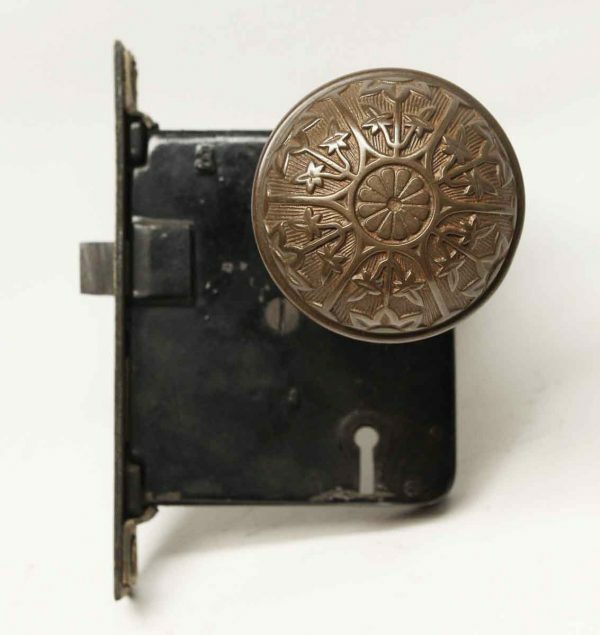 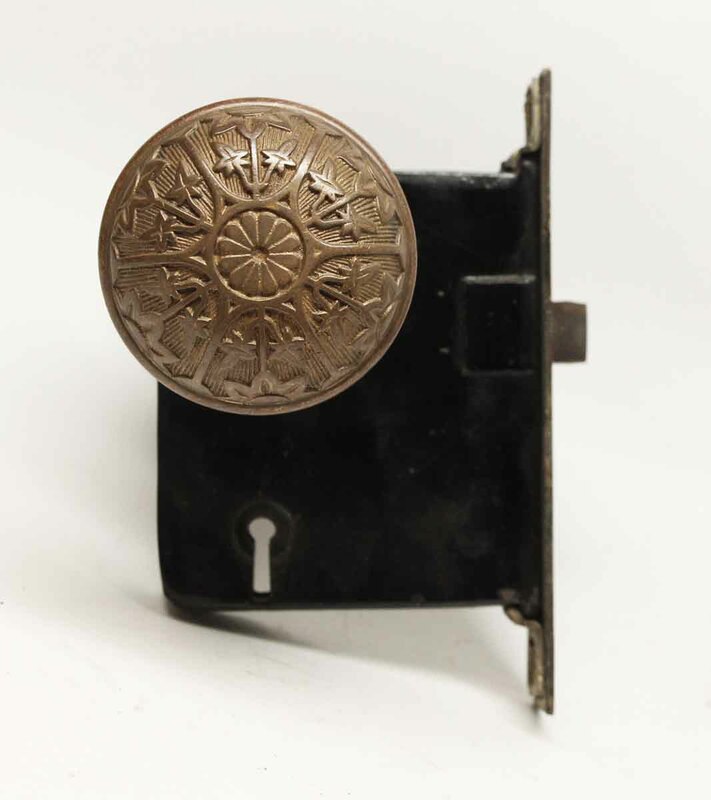 This Vernacular style six fold knob is made by Sargent in the 1888 catalog. 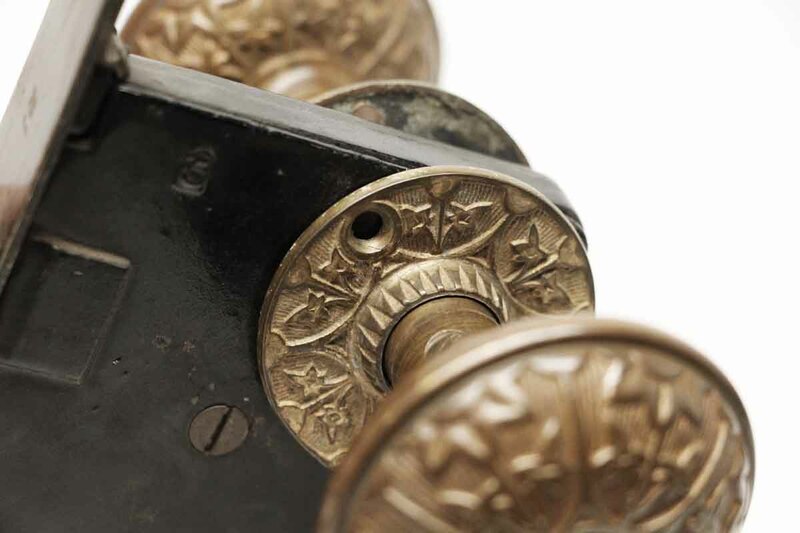 Part of the J-20900 group. 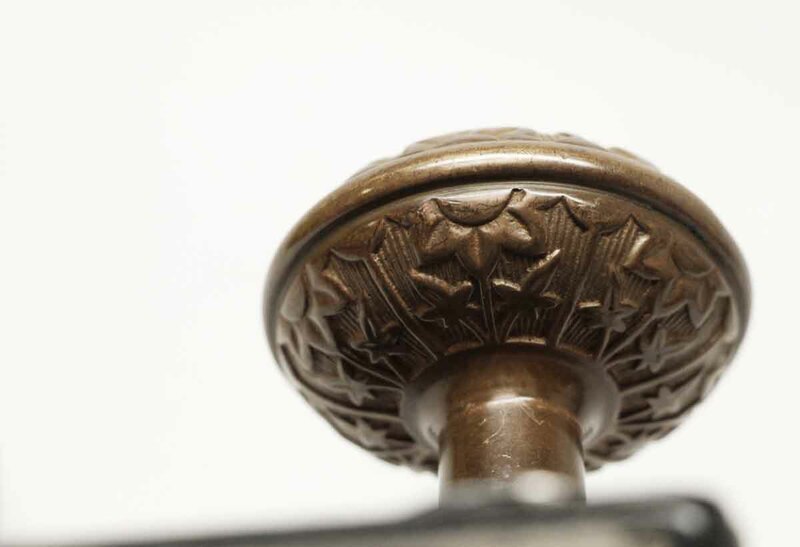 The design features outer flowers split by band, holding the knob together. 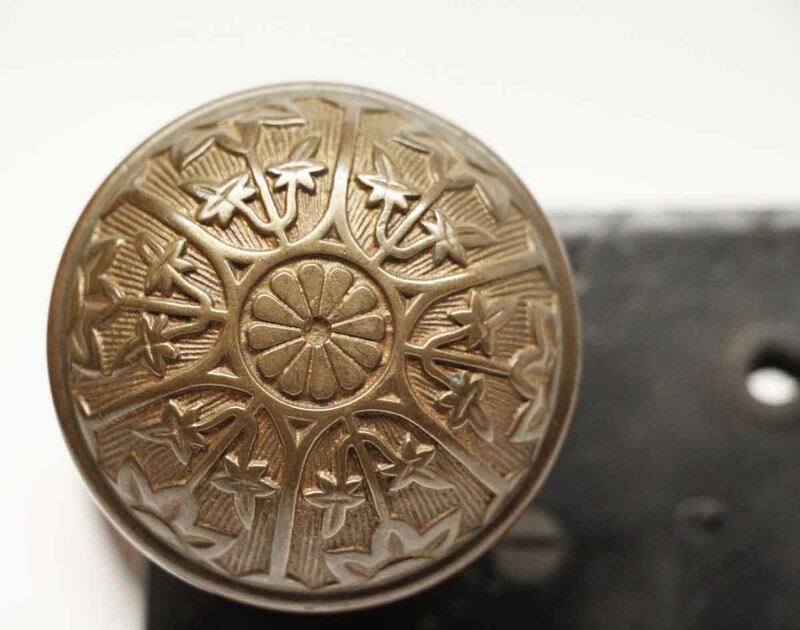 This is a popular design. 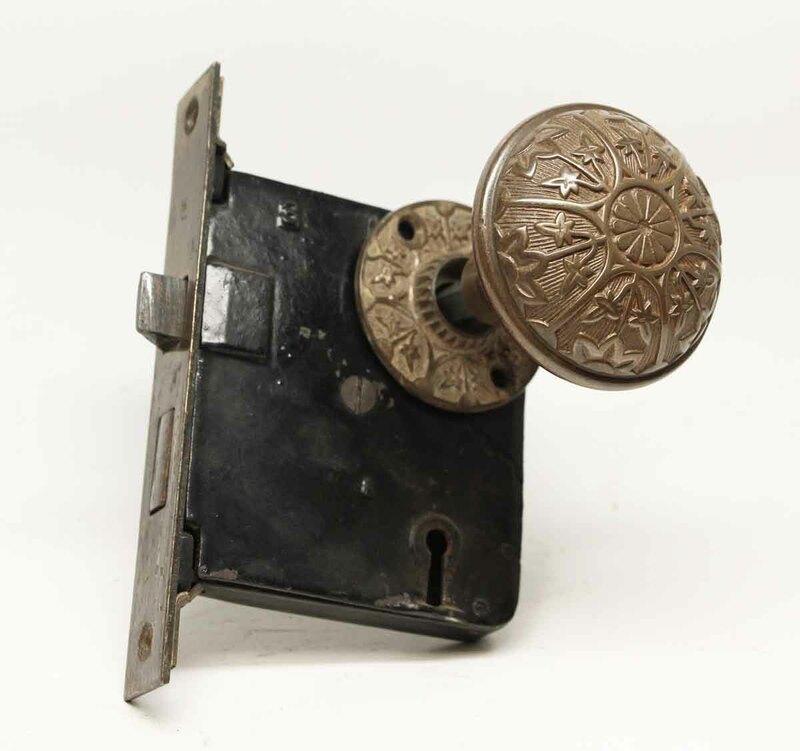 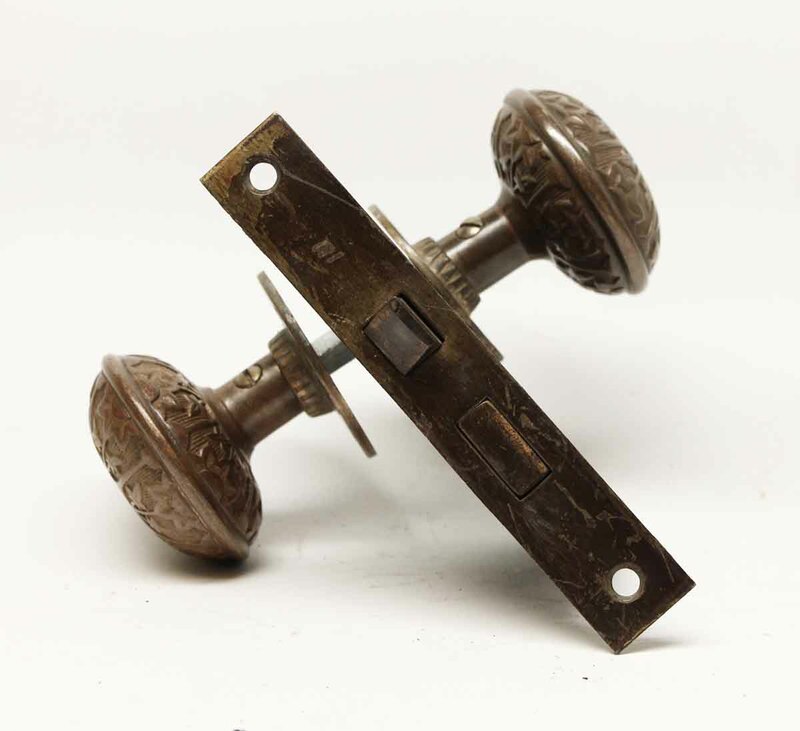 Set includes two knobs with a spindle, and a mortise lock.